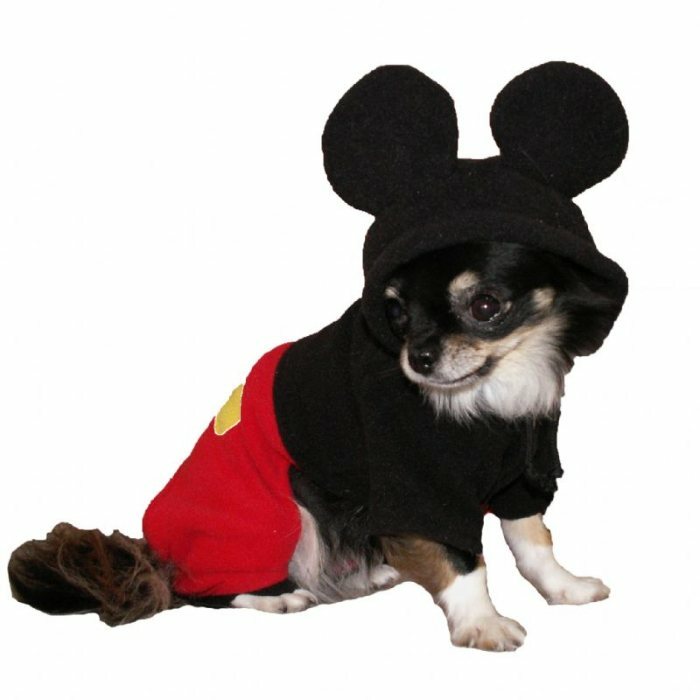 The cutest Mickey Mouse costume for your boy dog! Fully lined for comfort. Snap closures at belly. Your pup will be a hit at any party in this boy dog Halloween costume! Open under potty area. Room for buns to hang out back. SOLD OUT/Tiny length up to 10 inches. Neck 6 to 8 inches. Girth 8 to 10 inches. SOLD OUT/Small length up to 14 inches. Neck 8 to 11 inches. Girth 10 to 14 inches.